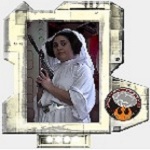 Rebel Legion :: View topic - Hello from Peoria Heights, IL! Hello from Peoria Heights, IL! Posted: Sat Mar 09, 2019 5:18 pm Post subject: Hello from Peoria Heights, IL! My name is Lauren (Or you can call me LJ too) I was newly approved with Senatorial Leia on Monday! I'm super excite to meet everyone and start trooping. Welcome to the rebellion Princess! "Take my love. Take my land. Take me where I cannot stand. I don't care, I'm still free. You can't take the sky from me." Welcome to the Base! Please make sure you sign up for the Galactic Senate so I can add you to our Galactic Senate Delegation! Hope to troop with you soon! Hooray!! Welcome to the base!